Clearone conference phone from Craig Communications "ClearOne phone conferencing systems, wireless conference phones equipment"
We are pleased to offer Clear One Conference phones; Max, Max EX, Clear One Max Wirelesss phone systems, expansion kits, power supplies, cables and other ClearOne equipment, check out the available inventory from Craig Communications. Clear One Conference phones and ClearOne MaxAttach phone systems provide the clarity, dependability and quality you need in all of your business calls. We carry state-of-the-art IP phone systems that signify a huge improvement on your present business telephone system. Check our inventory and purchase ClearOne conference phones and wireless equipment Online. Call Craig Communications toll-free at 1-800-306-3377 if you require assistance. If your business is in the market for quality Clear One Conference phones for your conference room, ClearOne equipment is definitely a solution to your telecommunication configuration. At Craig Communications, we offer several affordable ClearOne solutions, including wireless, to make conferencing easier than you'd ever thought. Craig Communications offers both the Max EX and the Max Wireless Clear One Conference phones. NEW, right from the factory, and Max EX Expansion Kits deeply discounted from retail prices. We offer a two year /30 day advance replacement warranty on all ClearOne conference phones and equipment. We are committed to your total satisfaction and return business! We may conduct business over the Internet, but our operations are founded on service and commitment to customer satisfaction. 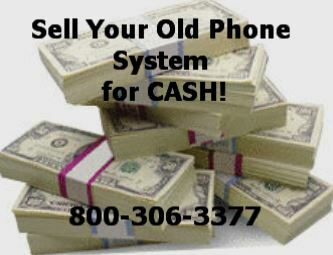 Craig Communications maintains an inventory of quality used refurbished phone equipment. We stand behind every Clear One Conference phones, system and components with a TWO YEAR WARRANTY! All New Clear One Conference telephones including the Max and Max Wireless conferencing systems, kits and equipment, come with 2 year warranty. Call (800) 306 - 3377 for assistance selecting the best phone system for your office. We are your One Stop Shop for Business Telephone Equipment- Buy, Sell, Repair. Craig Communications does it all. Upgrade to to a system with more features that your business might need.